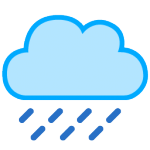 The weather certainly likes to keep us on our toes doesn’t it but we can’t let it stop us getting out in the gardens and planting all of our lovely new bare roots and root balls. This is where cold storage is our saviour, what is cold storage? You may ask, well, here’s all you need to know! 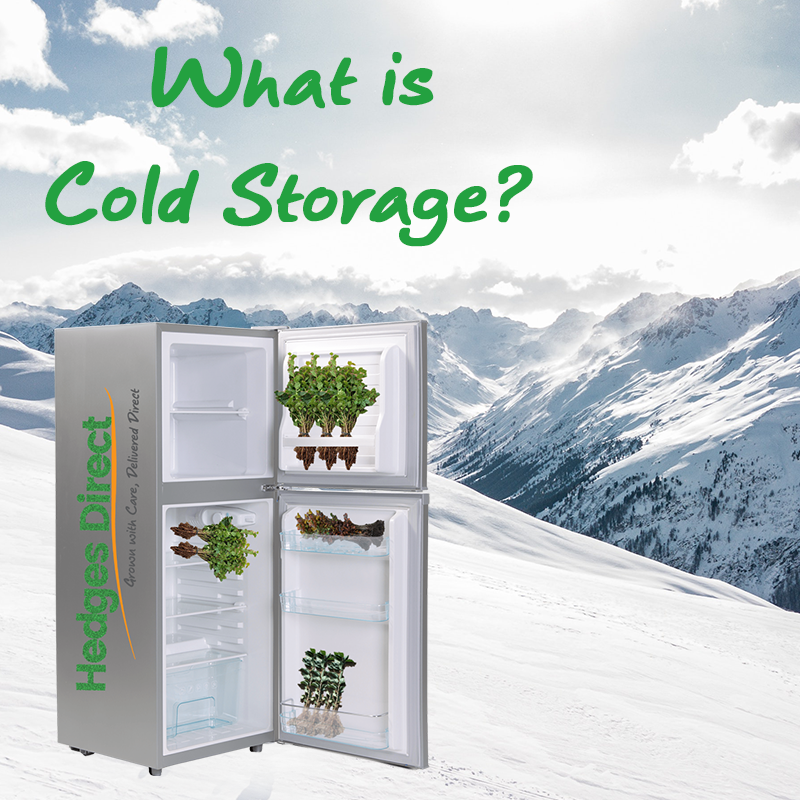 So what is cold storage? Cold storage is a technique used to extend the bare root season, which normally lasts until early April depending on the weather. Cold storage involves the use of large, cold containers, powered by solar panels in our case to reduce environmental impacts, and these stores trick plants into remaining dormant by simulating light conditions and temperature levels similar to those we experience in winter. The store is kept dark and at a temperature of -3C, which keeps the plants in what is known in the horticultural industry as “suspended animation”. 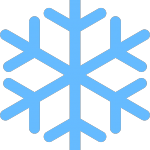 By creating artificial conditions, the plants remain dormant even as the weather outside begins to reach temperatures that would normally induce the growing season to begin. This is a completely safe method of lengthening the bare root season. As the plants are placed into storage during the winter when they are completely dormant, and kept moist with occasional watering to the root systems, our hedging plants can remain in cold storage until the end of May. Why do we use cold storage? Traditionally, this technique was used by nurserymen to create ‘transplants’ with good, fibrous root systems and a strong, bushy framework of branches. This was done by storing one year old seedlings from the previous growing season and suspending them in dormancy until the ground was ready for them to be transplanted for their second year of growth. The same procedure is used to safely store hedge plants beyond what is considered the usual end of the bare root season so that they can be planted several weeks later (after Easter), resulting in a thriving hedge, equally as healthy as a hedge grown from plants that had not been cold stored. 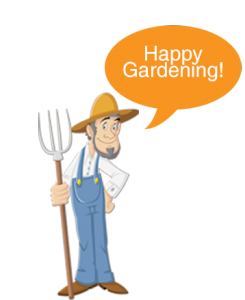 The benefits of being able to plant bare roots slightly later in the year is that the air and soil temperatures rise in the spring, which stimulates quick growth and a wealth of foliage and flowers. 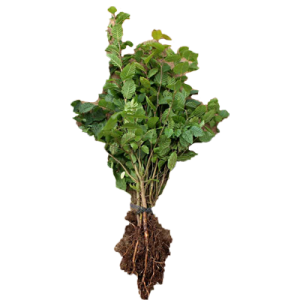 We do advise planting cold stored bare root plants as soon as possible after delivery, within three to four days, as the plant begins to awaken from dormancy as soon as it is exposed to the light and temperatures outside of the cold store. 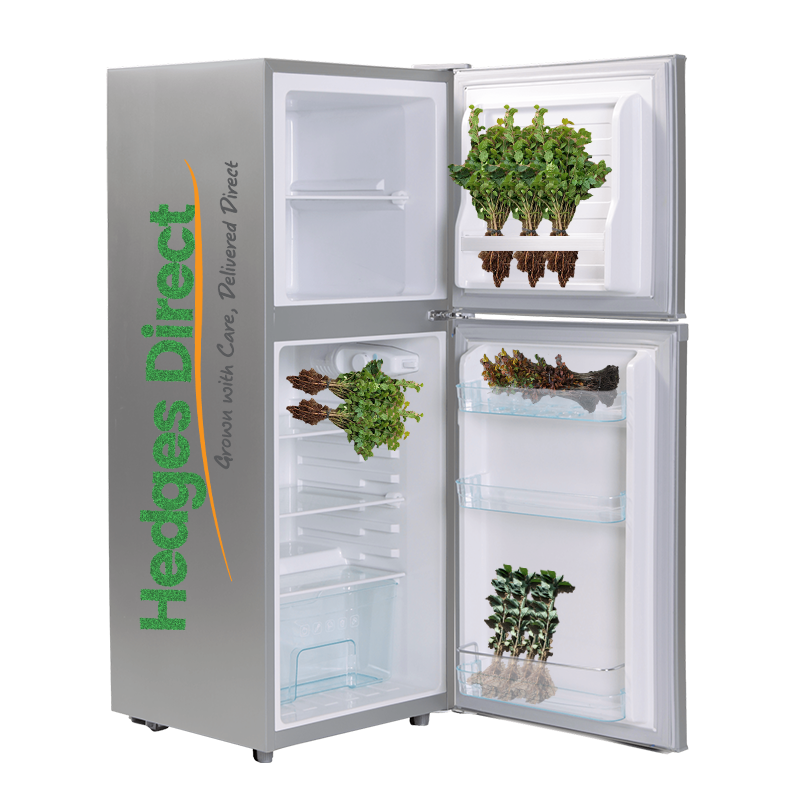 What plants can be cold stored? Due to limited space in our cold stores and the dormancy habits of some species, it’s not possible to cold store all our hedging plants. Some of our taller plants would take up too much room in the store and evergreen species never enter full dormancy, so are not suited to cold storage. Because of this, our evergreen hedging species and our taller plants are only available to order until mid-April, within the normal bare root season. After this they cannot be lifted from the fields until the following season, but can be pre-ordered from the autumn for delivery in November. The quantity of bare root plants we place into cold storage each year is worked out using previous years’ sales data, which gives us a relatively accurate forecast. However, once our stores run out, bare root hedging plants are not available again until November, so make sure you don’t miss out! Bare root hedging plants should be planted as soon as possible after delivery, however when planting conditions are poor, it is safe to store them until the planting site is more hospitable. The main thing to remember when storing bare root plants is to keep the roots moist. You should keep them in a sheltered, dry and cool location such as a shed or garage, and they can be stored like this for up to a week. Keep them in their pots when they arrive, this will protect the root mass from being exposed to freezing conditions which can effect the development of the root. You can store pots up to a week in a cool, dry shed. Leave the hessian sack on (what it arrives in) when planting- this will decompose naturally over time. Root ball plants should be stored in a cool, dry place sheltered from winds and frost, and extra insulation can be added by covering the hessian sack with straw.